A serger is a must-have item on the list, especially for those who wish to take their stitching projects to the next level. Without a doubt, the Brother Designio Series DZ1234 model distinguishes itself from its competitors. 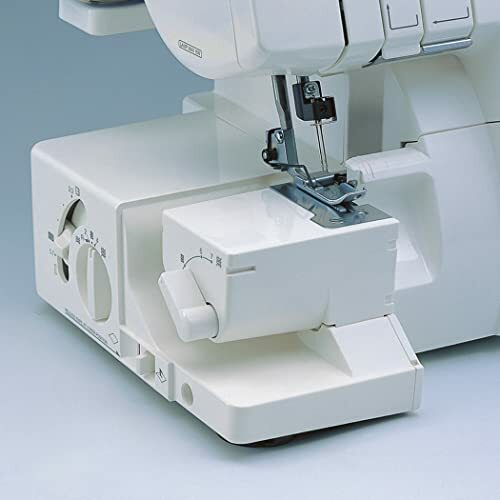 It offers exactly what is needed in the form of fast sewing speeds, easy-to-use controls, and a wide range of customization options. Thinking of buying it? Wait, read this review first! It’ll provide you with the details you must be aware of. 3 What's More To This Machine? Brother Designio DZ1234 Serger is your best option as it can repair various seams of clothing and fabrics. So, you can then reuse those clothing. Using a sewing machine with a serger makes things a lot more convenient and work-wise, it is indeed fast. As soon as you start using a serger, you’ll definitely want to experiment with more old clothing that you have kept in your closet. Sewing machine with a serger is also cost effective especially if you don’t plan on buying new clothes. Instead, you can just fix hand-me-down clothing. Let’s see what the DZ1234 is all about! Here are some top features of this serger that make it the best for use. 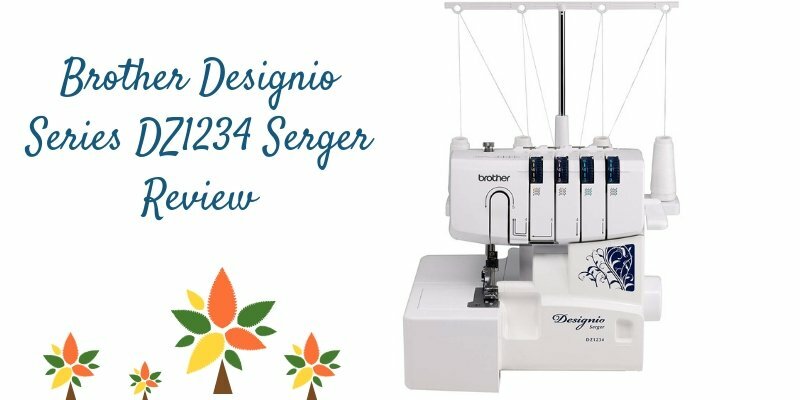 The Brother Designio Series DZ1234 Serger has an adjustable differential feed that allows the machine to sew different fabrics. These fabrics can either be delicate or thick. The ratio of the differential feed ranges from 0.7 to 2.0. It also stops the cloth from stretching. Similarly, it stops the stitches from breaking in knit fabrics. You can choose the settings for the differential feed when producing gathers or ruffles as you operate the machine. This feature allows you to instantly adjust the speed of the feed dog below the presser foot. You can do this by pressing a lever on the side of the serger. In addition to creating perfect gathers, the feed prevents wrinkling on lightweight fabrics as they move beneath the needles. The piping foot directs narrow piping and holds zippers in place to while assisting in the installation of piping. It is most suitable for thick fabrics that require a rigid edge. Meanwhile, the gathering foot assembles, connects fabric, and finishes edges. The foot secures fabric, so there is no need of pins while finishing edges. This feature is ideal for creating skirts and dresses with a flowy silhouette. The blind hem stitch foot assists in stitching and connecting edges or attaching other fabric pieces. Meanwhile, the adjustable guide helps to make it useful for creating fancy and functional stitches. You can adjust the stitch width from 3 to 7 millimeters. An ideal stitch width will be one that generates flat seam finishes, a characteristic that is important for lighter fabrics. The ability to adjust the stitch width is essential for producing perfectly flat stitches, especially when working on delicate fabrics. The DZ1234 makes use of the same standard needles used in sewing machines which eliminate the need to buy more expensive options. It allows to design edges and hems for a variety of fabrics including linens, stretchy material, and formal wear. It also allows to create decorative edges. The free arm makes it very easy to sew areas that are difficult to reach such as sleeves, collars, and pant legs. It’s easy to serge these components with the removable table section. This model allows you to work on a flatbed surface or make an easy change to a free arm work area. By simply removing the bed extension you can put a clean, professional finish on sleeves, pants legs, collars or other small or typically hard to reach areas. The serger is color-coded to make threading easier. The system operates for upper and lower looper threading. Thread changes are also made faster with all thread types. This learning process becomes a far less complicated experience as it simplifies finding and locking in the perfect thread tension for all of the stitches you choose. 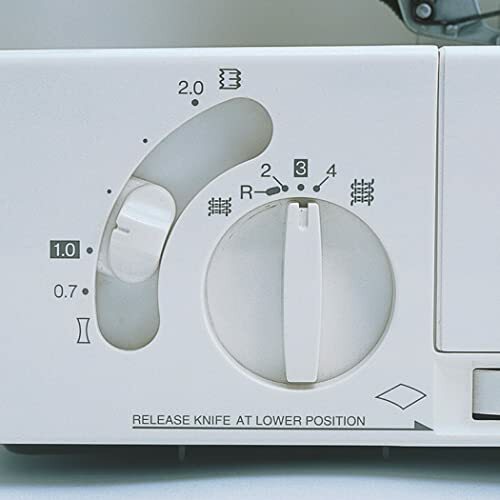 The DZ1234 has a sewing speed of 1,300 stitches per minute. This indicates that you can finish your sewing projects in no time. 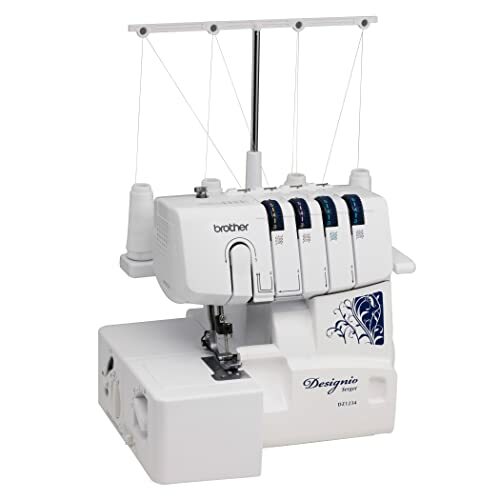 The reason for using Brother Designio series DZ1234 serger is that it is fast-moving and can stitch and repair in minutes. It is the most suitable option for businesses who are in the fashion industry, especially in making a couture line. What's More To This Machine? This Brother serger has 22 unique, built-in stitches, including 3 thread overlock, 4 thread overlock, rolled hem, narrow hem, and ribbon lock. Like most other sergers, this model can be used to create buttonholes, but it is not very ideal for working with zippers. This machine also consists of a retractable knife that can be utilized to create rolled hems safely. A removable trim trap at the front of the machine can be used to gather scraps of fabric while cutting or serging. When not in use, the trim trap acts as a storage compartment for the presser feet. 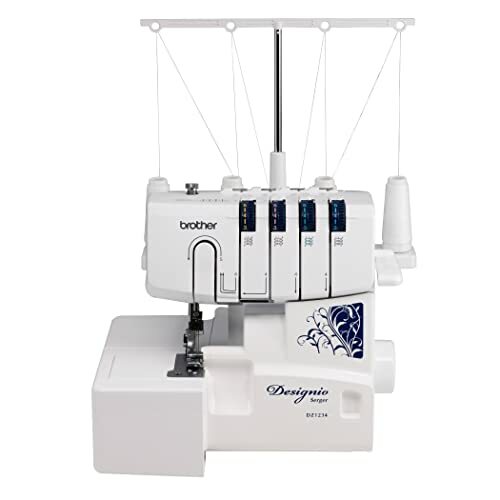 The Brother Designio series DZ1234 serger is covered by the Brother limited warranty. The warranty period of the DZ1234 lasts for 1 year from the original purchase date. It covers the machine and accessories that come along. Meanwhile, the printed circuit boards are covered for 5 years. Moreover, the chassis unit is covered by warranty for 25 years from the original purchase date. Using this machine results in a perfect seam finish in just a matter of minutes. This serger provides built-in kind of elasticity which makes it naturally fit for knitted fabrics. You must use the 3-thread overlock if you want to have a perfect seam. With cover stitching, most of the readymade garments are hemmed. In addition, with the Brother Designio DZ1234 serger, you can repair clothes that you want to and make them look wearable. Used for a rolled hem, which is usually applicable to children’s clothing. Used for chain stitching for repairing jeans or cotton fabric. Chain stitching the top of the fabric depends on how you choose to design and style it. This Brother serger is incredibly compact and readily transportable. Those who are not familiar with serging will need to learn all the skills to make the most of what this serger has to offer. This machine is not usable in countries that do not support 120V AC electrical current, even with a voltage adapter. This serger doesn’t offer an automatic threading feature. The DZ1234 series is famous for its effective and high quality sewing machine. If you want to complete tasks in a fast, easy and yet comfortable way, then this is the best equipment that you can ever own. 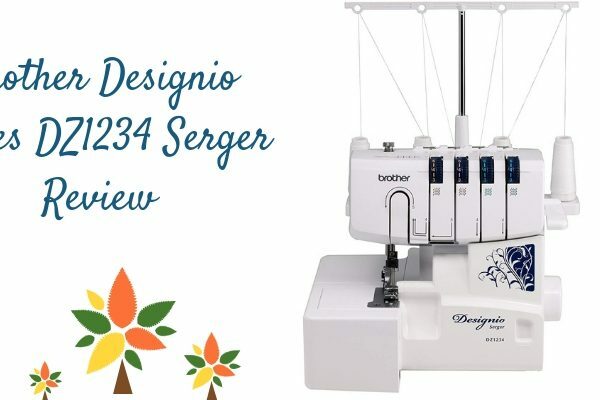 The Brother Designio series DZ1234 serger is an important machine especially if you want to learn more about the use of a serger. You can learn techniques and its basics on how you’re going to do a serge, and you will be pleased with the results. Also, the Brother Designio Series DZ1234 Serger is quite affordable. Since this model offers a number of advanced features, it is recommended that buyers have some experience with sergers. However, even a beginner will eventually be able to get the hang of using it. This serger is a smart choice that will easily bring any fashion project to the next level.